Can you please introduce yourself by telling us about your personal and professional background and when, how and why you became involved in tobacco harm reduction issues? Claude Bamberger: I’m a normal citizen who happened to smoke, like 30-40% of the French population, until I tried a vape (a cigalike) by curiosity in 2013 and found it full of potential compared to smoking cigarettes. I improved my experience with, and knowledge of, vaping and "inadvertently" stopped smoking. Professionally I have been in information systems and computers, and more precisely, information systems architecture, for most of my working life, and I love doing my job most of the time, which is a blessing. I’m not involved in harm reduction per se, as I’ve been involved with Aiduce to defend and inform myself as a consumer, to know if there was, and try to correct, any issues on products quality/security and then defend others like me against unfounded or inappropriate regulations. Perhaps defending the use of a mostly harmless consumer product has become harm reduction, but in that case it’s reducing harm from irresponsible health authorities. Perhaps defending reason against fake science and mystic prejudice has become harm reduction, but in that case it’s against obscurantism, certainly something I have been fighting for decades. Perhaps sharing information with smokers, on vaping but also on what smoking is and does as I learned a lot in that domain the last 5 years in the contact of health professionals and digging in studies, has become harm reduction, but in that case, it’s against misinformation and ignorance. What I certainly learned about harm reduction is that it is obvious, it’s basically what medicine is, what public health is all about and in a business setup what we, engineers and project managers, do all the time. We just call it risk management, as risk is inherently a part of life. What I also learned about harm reduction in public health is there are some extraordinary people, in healthcare, in auto-support groups, in civil society organizations, that spend most of their energy saving people, sadly sometimes against the effort of colleagues who stigmatize, discriminate and exploit other human beings. Q1. You attended or I should say you tried to attend the 8th Conference Of the Parties to the FCTC that took place in Geneva. Can you tell us about this experience you also described in a collective video posted on youtube? Claude Bamberger: I was in Geneva as a member organization representative to support INNCO (which federates nicotine consumers organizations internationally) delegates. INNCO, a U.N. recognized international civil society organization stakeholder on non-communicable diseases reduction, registered as an observer at the COP8. With no explanation, no public vote, no argument, this status was refused during the first hours of the COP, despite the accepted demand from participants of the COP for transparent (public) sessions [there are also workgroup meetings during the COP and some participants insisted on close door/no transparency for them]. Some of our representatives went inside as public observers (like the journalists, they were able to watch the beginning of the first public session). They were then thrown out after that, with the others, including all the journalists. What I saw is obsessive secrecy, participants are not publicly known before the COP. The French delegates never contacted us (Aiduce, Sovape, Vape du Cœur) as stakeholders, orientations and key votes were kept behind closed doors. Nobody represented « me » or was even having a transparent mandate for that, but they kept on talking about what freedom they could take from me, what information they could keep from me and what product I could or couldn’t use. What I saw is conflicts of interests as key participants represent states with a major stake in the sale of tobacco cigarettes to their citizens and to the rest of the world as well as with tobacco market/production itself. 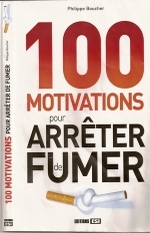 But also as tobacco control policies voted in this COP (and, as this is an international treaty, pushed as laws in many countries) there are major conflicts of interests when the taxation, for example, is not bound by smoking prevalence reduction and finances a key part of the social or state budget as it’s the case in France. What I saw is corruption, the one that arises when there is no transparency and no accountability, when representatives are behind closed doors with no witness and no transparent mandate. What I saw is disinterest from public health representatives in ex-smokers like us, who came from numerous countries. We were taking holidays and financing our stay to see what happened and to talk to them and present them reports. We had some polite representatives taking our papers, and only one talked to us for nearly half an hour. But most of them ignored us. And none of them came to the Place des Nations (in front of the conference, where we were allowed to stay) to talk to us and understand why we were there. Q2. 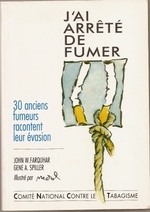 You celebrated the fact that the French government supported the organization of self-support groups to help smokers quit by switching to vaping during the Mois sans tabac, a French version of Stoptober in the UK. Can you explain what those self-support groups are about? How do you explain the refusal of the government to 'advertise' about this type of help? We fund you but we don't want to talk about it? That's very different from Stoptober. Claude Bamberger: Well, they don’t fund us but we agreed on a public contribution for some specific actions we planned on doing with/during the Mois Sans Tabac: those funds are affected to specific budgets for specific expenses, not to our operating budget. Self-support groups and individuals (citizen and healthcare professionals) have been doing that for years. We have worked with different actors during the Mois Sans Tabac (and during the rest of the year) for years, as individuals and as Aiduce, giving our support to nearly any organization needing information on vaping. I believe there is a clear duality among public health professionals: some are fighting vaping (the behavior, the product, the knowledge about it) and some (mostly at the grassroots level) think it has some potential for helping smokers to quit. But most of them remain hermetic to any public involvement on smoking reduction they don’t control. We are troubled not to be listened to as ex-smokers but in comparison to smokers who are simply not at the table, this already is a victorious fight. Q3. How do you assess the position of the French Public Health establishment toward tobacco harm reduction and vaping? We know of a few individuals who publicly support vaping as a safer choice than smoking combustibles, in 2013, 100 health professionals had co-signed a declaration in support of e-cigs, what about now? How many physicians would sign such an appeal? Did you participate in the campaign organized by the French Cancer Society to promote cancer prevention? What is their official position toward e-cigs? Claude Bamberger: As I said, some health professionals see a potential for smokers. Some also see a product that can curb the trend of smoking and that can be interesting as an alternative from a public health perspective. More and more « white coat doctors » (real doctors at the local grassroots level) in France see the effectiveness of vaping on stopping smoking (far more than in 2013). The issue is the remaining ones that repeat with discipline an official narrative written by obscurantists (and again, it’s not so specific on vaping). Of course, you’ll find the most convinced about vaping among addiction specialists, heart and lung specialists, cancer specialists, and this can be seen in the involvement of Federation Addictions or Respadd and SOS Addictions, but also from INCa (a bit like CRUK). Most other groups also validate vaping is less dangerous than smoking (French Academy of Medicine, Alliance Contre le Tabac, Santé Publique France) but remain convinced that they have the right to limit use or sales as if it was a product that concerns them (which is not the case, promoting it can be their role to reduce smoking but there is not the faintest reasonable proof of significant risk justifying those actions compared to most common consumer goods). Tofu is a good option to replace meat, would you restrict tofu marketing or use to vegetarian for that? We weren’t involved in the campaign for cancer prevention. Basically, very few health organizations accept (or even ask for) civil society involvement, which is an issue for the citizen as well as for those organizations that obviously have huge misrepresentation and misunderstanding of what life (and business) outside of the pharmaceutical fairytale is. Q4. Many critics assert that e-cigs is a new ploy by Big Tobacco to addict a new generation of young people to nicotine and trick the public with false claims about the reduced risks associated with vaping. Are the main tobacco multinationals leading the way and dominating the e-cigarettes market in France? Is there a French vaping industry? Claude Bamberger: First of all, a good plot for a conspiracy has to have some realism in it. Tobacco companies are a minor actor in vaping, especially in France where the local vaping industry is the market leader. It was mostly built from the ground up by ex-smokers who became vapers and decided to bid their career on the success of vaping as an alternative to combustibles. Tobacco companies that are involved in vaping see a real transformation, at least in rich countries, in this market which is quite logical from a business perspective as 99% of vapers were (or still are) smokers, so those companies lose revenue and would like to get it back. Basically vaping products value chain is more interesting economically than tobacco: pseudo-analysts often forget to factor the real revenue of tobacco sales without the forced share of taxes and imposed retail network. Vaping is not selling well to non-smokers, in my opinion mostly because tobacco cigarettes and smoking are still far more accessible, especially with the insane limitations put in place by the most important beneficiary of tobacco sales (in France the pack of cigarettes costs around 8€ now, but “Big tobacco” only sees around 1€ of it). So no, this plot is laughable (and another one, authorities slowing down the tobacco cigarettes market natural erosion, is far more realistic from an economical, ideological and historical standpoint). Yes, there is a strong French Vaping Industry we can be proud of, not only for their market results but also their commitment to quality and/or creativity and innovation. Q5. Browsing on your site I found a campaign entitled La vape, j'en parle avec mon médecin (I talk about vaping with my doctor) that was organized in Belgium in 2014 by the Belgian part of Aiduce. Can you tell us about it? How different from France is the situation in Belgium? Do you see a need for an expanded coordination between French speaking countries to advocate for vaping in a universe that is very much english speaking (as we are demonstrating now)? Any contacts in French-speaking African countries, Québec? Claude Bamberger: We also run this campaign in France and still advise our members to talk to their doctors as we talk to the medical profession. The Belgian nightmare is a real subject of concerns and we are supporters of UBV-BDB efforts to curb the royal rules on vaping that are ruining the smoking reduction in their country (just look at the Eurobarometer, proof of harm is there). Internet sales and cross-border sales are forbidden, customs are destroying products, the Ministry is openly lying on vaping and health agencies/anti-tobacco movements are deeply involved in a deadly fight against vaping. We have contacts, via INNCO (on an international basis I believe it’s the good instrument) and I believe each country can benefit from the fight of others : some of us are in a less tense situation than others and we can prove progress must be done by comparing with the smoking figures in other countries and the lack of negative effects, others can prove their case by showing what happens in France, and UK (two countries different enough to prove it’s not anecdotal) and fight back. Some cases are more similar despite languages, like North Africa and South-East Asia, where they fight against corruption and trafficking of bad quality (or even dangerous) products, they want more (and different) regulations and can share what works and practices. In some countries in Africa it seems to be another subject as well and vaping is one option but not the only one in some places where tobacco smoking issues are different and product accessibility as well. I would be very happy to share more with those countries (I had some brief discussions) but the issues are very different and specific actions have to be designed with people experiencing the situation. We base our fight on consumer goods quality (and status) for vaping products because in Europe this is solid ground, it’s also what normalization efforts show. It’s not the case everywhere, may they speak French or Filipino or American-English, each consumers group has its own path to a solution and via INNCO what we can do is share experience, figures, and solid scientific facts. Claude Bamberger: If you are French and a vaper or support your relatives or colleagues vaping, adhérez à l’Aiduce, venez participer (come and take part). Aiduce’s mission is to put vapers around the tables where people speak about them without them. We should only have to work on products quality, sharing best practices with consumers and health professionals involved in smoking reduction and helping new vapers, but we have many other fights at many levels that have to be fought. We know our missions contribute to changing the life expectancy of millions, we do it for the thousands of smokers who already died in France because they were misinformed based on unfounded laws and misrepresentation by some health authorities, we do it together with risk reduction actors, civil society like Sovape and medical, caritative organizations like La Vape du Cœur, retailers and manufacturers, but also with people nationally and internationally working on human rights and self-determination. Important fights have been won already nationally and internationally, most of them silently, opponents of human rights and reason are getting worried and cornered, and, as so, weaker but more dangerous and radical. I still believe vaping will prevail and sooner than 2030 but people must join and keep fighting for their rights until then. Changing the life expectancy of entire continents and putting the public at the center of public health is a goal that is worth some efforts. Thank you Claude for having taken the time to answer our questions.